[Loc] Dany's Surgery - page 1 - meet the mods & staff - Furtopia | Family Friendly Furry Forum and IRC Chat! Hi guys. I just got appointed to Watcher. *hugs the staff* Here's hoping I do a good job Thought I'd make one of these now or else I'd forget, heh. Okay, so. I'm Loc, I'm 22,and live in the UK, on the south coast. My fursona is a blue-spotted anthro snow leopard. I joined Furtopia back in June last year, but I've been floating around the fandom for about five years now. I spend most of my spare time reading (preferred genre is fantasy), writing short stories or playing PC games (my favorites are RPGs and first person shooters). 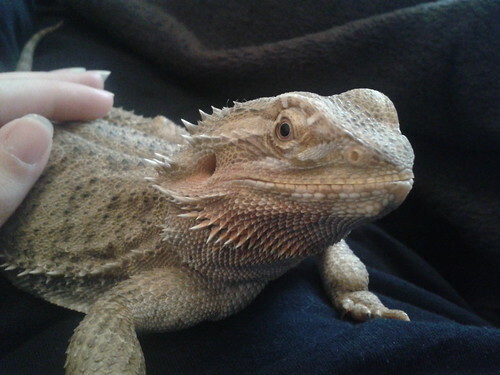 I have a pet bearded dragon called Daenerys (points for getting where the name comes from). I recently graduated from university and have a degree in palaeontology (yes, like Ross from "Friends") and I'm currently unemployed, although I'm hoping that'll change soon. That's all I can think of for now. 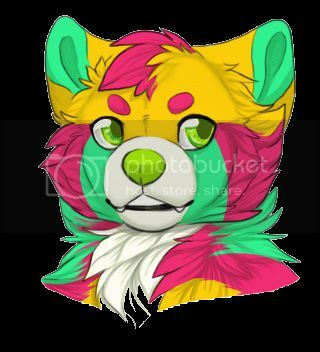 So any questions or anything, feel free to ask ^^ I like to think I'm quite friendly. What flavors of tea do you like? Welcome to the team Loc. My favorite teas are Earl Grey, English Breakfast and those nice red berry teas. Although I'll drink pretty much any other tea with the exception of peppermint Can't stand that stuff. Ooh, a puzzle! ^_^ I don't know the answer, but is it by chance a word spelled backwards? Also, a real question for you: Why did you choose the snow leopard as your fursona? Based on your other interests, I would have thought you'd go with some kind of prehistoric creature... but I guess not. I do have a second fursona that is a smilodon. For my main one though... I'm not sure. I made her in my first few months at university, after toying with the idea of a doberman. But a feline seemed more appropriate to my personality and habits, and the deciding factor was I wanted my fursona to have an awesome fluffy tail That's the bad thing about extinct creatures. We can't tell exactly what the skin or fur or whatever on them was like (generally, I can think of a few exceptions). The idea of having a prehistoric fursona never really crossed my mind at the time. I've been a snow leopard since I first joined the fandom though, and I haven't wanted to change her (not in major way anyway, she went through a year-long period of being a borg that I'm considering taking her back to for a while), and I'm happy with her. Time for a Dany update. The less good news. We took her to the vet because she has a lump on her jaw, visable on both the underside and the inside of her mouth. The vet told us that, unless it grows, it is nothing to worry about (could be scar tissue, could be malformed bone in the jaw), but called our attention to something I had been wondering about for some time. Her lumpy, crooked legs. Turns out, she wasn't looked after properly by her former owners, and has had bone disease. Either her legs and toes never grew right or they broke and never healed correctly. There is nothing we can do about it now, they're going to be wrongly shaped for the rest of her life, but we can make sure that it doesn't happen again. I KNOW WHO DANY IS NAMED AFTER, but you knew that I knew that just like I knew that you knew that I knew that. Nice Game of Thrones reference! And she is cute! Is that when the new series comes out on TV? Considering I haven't watched what has come out so far XD I've been wanting to read the books before I watch it. I've got to the point now where the first series isn't going to spoil anything for me, and I think one of my housemates has it somewhere, so it is on my list of things to watch. I forgot about that. Silly literary people and their READING. I apologize for the non cyberness. :O Oh my word, that is the most impressive cake I've seen in a long time. I need to get back in to baking. It's a little late, but happy birthday from all of us Loc! Hope you have/had a wonderful day! Thank you dodbringr! And yes, I did have a very good day. I spent it with Weisseman and his family, and will go and see my parents next weekend to have a "second birthday" with them (they live further away and couldn't come to visit this week due to work).